Established in 2009, American Bullion have rapidly become one of America’s best known precious metals dealers – specialists in the provision of gold IRAs, gold IRA rollovers and retirement portfolio packages. 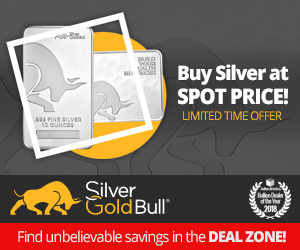 Where most gold dealers try to be all things to all customers, it is American Bullion’s dedication to offering the best possible service in a single niche – Gold IRAs – which has led to it’s phenomenal success and an ever-growing mountain of glowing reviews. American Bullion‘s main business is the provision of tailored “diversified metals” retirement portfolios using the Self Directed IRA as a tax-efficient investment vehicle. Even non customers are able to benefit from American Bullion’s unique depth of knowledge in the gold IRA market thanks to their award-winning gold IRA guidebook – available for free here. With an A+ rating with the BBB, an A rating at Trust Link and a triple AAA rating at The Business Consumer Alliance (BCA) – it’s clear that American Bullion’s dedication to customer care and laser-focused specialization is winning them a large and loyal customer base. American Bullion: Gold-Backed Retirement Accounts. American Bullion specialize in Precious Metals IRAs – that is Individual Retirement Accounts backed with physical precious metal bullion. 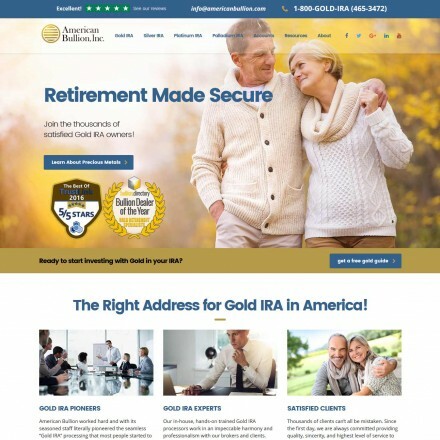 While many gold dealers do offer IRA’s as an add-on service, Gold IRA’s form the entire sum of American Bullion’s business – and their expert team of IRA advisors know the US retirement market inside out allowing them to tailor retirement accounts precisely to a client’s individual needs and future plans. Because they arrange so many accounts for a broad range of clients they’ve managed to reduce both customer costs through economy of scale and developed a service that is quick and efficient. 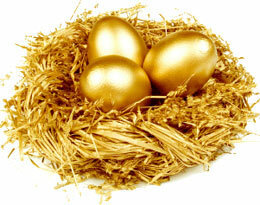 Their gold IRA rollover or transfer process benefits from the well oiled system. Electronic signatures mean funds can be transferred within 48 hours with the entire gold IRA rollover process typically taking no more than five days from beginning to end. American Bullion have produced a valuable set of guides to Gold Investing and send these out to any potential investor, serious about organizing a financial crisis-proof retirement or protecting their assets through precious metals. Written in an easy-to-follow style these guides will help gold investors make an educated and informed decision about whether a particular precious metals product or service will be right for their individual needs or future plans. American Bullion specialize in converting your existing IRA, former 401(k), or other qualified retirement plan to gold or other precious metals. We also specialize in providing investors with a wide range of physical products delivered safely and securely to their doors. Our professional Operations Department and designated IRA Department take great pride in their customer service. Each and every employee is committed to ensuring that their customers are completely satisfied with every facet of the transaction. Whether you buy gold coins, gold bullion, or roll over to a Gold IRA, American Bullion stands ready to be of service. There have been a number of reports claiming rival companies are attacking American Bullion with false reviews. American Bullion are offering Bullion.Directory customers an exclusive offer, where for every 1oz of gold added to an IRA, American Bullion will supply and deliver 1oz of silver, free, to your home. The American Bullion website contains the level of information we would expect from one of America’s leading bullion dealers, with detailed descriptions of the company and all services and products available. Best known for their Free IRA Guide, it’s unsurprising this is a key focus of the site. Unusually for such a large dealer there is no e-commerce function. However given their specialization as a precious metals IRA company this is not an issue due to the personalized one-to-one customer care required in the IRA process. As would be expected the website is easy to use, clear and clean in design and layout with obvious navigation and all key areas are where they would be expected. There are multiple options available for contacting their team and both full contact information and legal information is present and clear, with plain-English disclaimers visible on all page footers. American Bullion reviews are extremely positive with multiple hundreds of 5-star reviews across all major independent review websites. What is most unusual for such a large well-known company is there are no complaints on Ripoff Report or Complaints Board, suggesting the high standards of customer care claimed on their website are indeed true. When doing business with American Bullion - please say you saw them in Bullion.Directory. Read or add American Bullion reviews and ratings using the "reviews" tab above. All American Bullion details are believed to be correct at the time of listing. Please report errors here. American Bullion have produced a number of informative gold investment videos and how-to webinars available at their YouTube channel and on their website. Why Gold? Why American Bullion? Phil Owens has kept in touch and provided an outstanding service. Every thing was accomplished speedily. It is a good company to deal with it. Do not change any thing. While I have considered investing in precious metals for some time recently I decided to begin. Having no experience in this area had been a contributing factor in waiting until now. I was referred to American Bullion and I could not be more satisfied with my choise. Adam Duboff asked very helpful questions and listened to my answers. His professionalism and experience guided me through options and details that not only customized my order, he patiently provided information that served to educate me. My order was filled quickly and precisely as described, no surprises. I feel very fortunate to have found gold in a sea of lead. Having tested the waters elsewhere it has become clear that Amercan Bullion is my exclusive choise for future PM investments. Absolutely high above the rest. Thank you very much Adam for “taking me under your wing”. I look forward to our next transaction and cannot recommend AB more highly. Excellent in every respect from initial advice through the buying process, delivery and follow up. I voted for American Bullion for Bullion dealer of the year as in my experience they are head and shoulders above the competition. When I was arranging to buy some precious metals for my retirement account I asked 5 companies for advice. They either didn’t get back to me because apparently the amount I was adding was too small or they pestered me for weeks and weeks of phone calls. I was treated fantastic by everyone I spoke to at American Bullion, never a bit of pressure and my $10k is now safely stored in gold. Very happy with everything American Bullion has done for me and advice given. 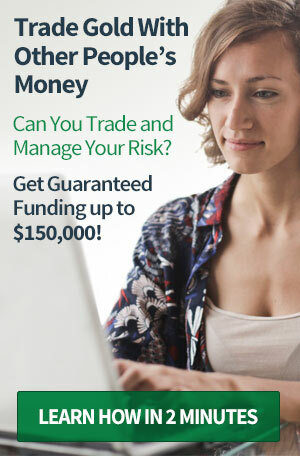 Decided to use American Bullion to add a portion of gold to my retirement account which turned out was the wrong type of account and i had been given wrong advice by another company. This was not a problem for American Bullion and within a few weeks I had a wholly new account and approx 20% gold in relation to other investments. Very smooth process and would heartily recommend both American Bullion and Jordan. I enjoyed working with John and Nevtan. They made the rollover process very smooth and worry-free. Both men are very knowledgeable about the business and pay close attention to detail. I would recommend them to friends and family. First class gold dealers, American Bullion have gone above and beyond in helping us add gold to our retirement plans. Really pleased how we timed the buy to get gold on a dip. I am a first time gold buyer. This is a very decent company to work with. When my account specialist was busy and I had questions, their president Mr. Akora took the call and answered my questions about my gold IRA. I give them 5 stars. Long term customer of American Bullion with nothing but good things to say about them. Advisor Jordan is especially helpful.